Lucerne, 22 December 2016 – Goat’s milk products are one of the dairy industry’s most attractive niche markets worldwide. Emmi has been gradually expanding its international goat’s milk network since 2010. With an 80% stake in Spanish goat’s milk processor Lácteos Caprinos S.A., Emmi is strengthening its position in this market. Emmi entered the goat’s milk products business in 2010, when it acquired Cypress Grove in California and the Le Petit Chevrier brand in Switzerland. These positive experiences prompted Emmi to gradually strengthen its position in this attractive niche market. The goat’s milk network now comprises two goat’s milk processors in the US (Cypress Grove, Redwood Hill Farm), two in the Netherlands (Bettinehoeve and Goat Milk Powder) as well as trading company AVH dairy, which is also based in the Netherlands but operates on a global scale. These are all small to medium-sized companies that are characterised by interesting positions in selected segments. With Spanish company Lácteos Caprinos S.A., the Emmi Group will be joined by a further goat’s milk processor that can be very well integrated into the existing network. Based in Campillo de Arenas in southern Spain, the company employs around 30 staff and generates annual sales of around EUR 13 million. Spain is Europe’s second-largest producer of goat’s milk (approx. 20%) after France. The stake in Lácteos Caprinos gives Emmi access to this attractive market. The focus of Lácteos Caprinos is on the manufacture of semi-finished products (curd) for goat’s cheese manufacturers both in Spain and abroad. Many professional goat’s cheese manufacturers use such semi-finished products to make up for any seasonal milk shortages. The stake in Lácteos Caprinos makes Emmi’s goat’s milk network stronger in terms of procurement. 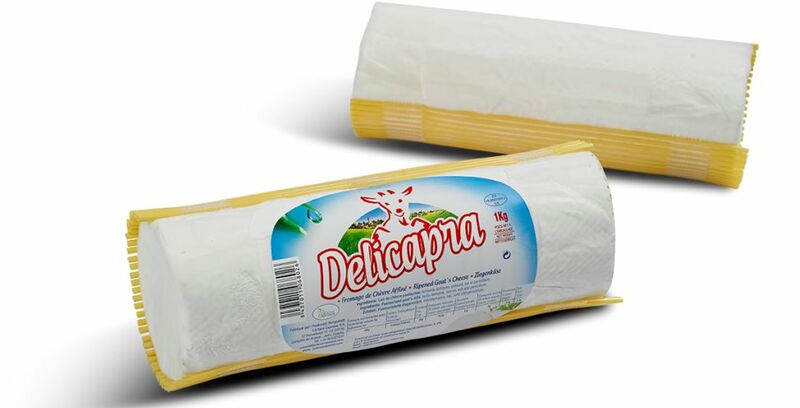 Lácteos Caprinos also manufactures goat’s milk cream cheese, which is sold through Spanish retailers under the Delicapra brand. Since Spain is also experiencing steadily growing consumer demand for goat’s milk products, Emmi is now in the position of being able to further expand this local business in the medium term. Emmi is acquiring an 80% stake in Lácteos Caprinos from its two owners, Pedro Mantilla and Francisco Sainz. The residual 20% will remain with the current owners, who decided to take this measure firstly because they were looking for a succession solution in the medium term and secondly because synergies with Emmi will allow the company to increasingly operate in the global market. They will continue to work for the company in their current roles: Pedro Mantilla as Managing Director and Francisco Sainz as Chief Operation Officer with a focus on production and milk procurement. This transaction is scheduled to close in January 2017. The parties have agreed not to disclose the purchase price. In Switzerland, the Emmi Group includes around 25 production sites of every size. Abroad, Emmi and its subsidiaries have a presence in 13 countries, seven of which have production facilities. Emmi exports products from Switzerland to around 60 countries. The company employs around 5,750 staff (full-time equivalents), of which 3,000 in Switzerland.